The folks who made Dead Rising 2 have a new game in store and are looking for staff. 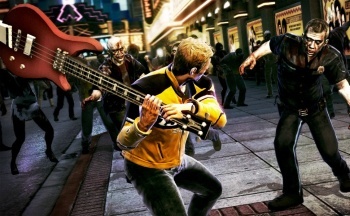 If you enjoyed the zombie madness that was Dead Rising 2, you have Capcom Vancouver to thank; but what of the future? Well, the head office has given Capcom Vancouver the green light to work on something completely new, and it's looking for staff. "P.S." the press release reads, "No Zombies!" Of course, Capcom Vancouver could be trying to weed out the undead from its staff intake - which might break some discrimination laws - but the enigmatic postscript could also mean that its latest title is zombie free. Regardless, it's looking for a ton of fresh new faces for its latest project. "We've been given the opportunity to create Capcom's next big game," says Capcom Vancouver, but the developer coyly refuses to hand out much information as to what that title could be. "We're just getting started with the game so this is a great chance to really get your hands deep into the design," says Capcom Vancouver. "It's your opportunity to put your stamp on a game early in the development process." For more information, check out the description here - what there is of it - and then head over to Capcom's career page.